‘Cobo, Jezzaboo, Lilac Sash@, Nettle, and Yyks!, eds., Earth First! 30, no. 3 (1 March 2010). Republished by the Environment & Society Portal, Multimedia Library. http://www.environmentandsociety.org/node/7259. DECOLONIZING, DESTROYING BORDERS AND ATTACKING INFRASTRUCTURE: WHAT SIDE ARE YOU ON? But moreover, to this day I believe it was a miracle no one was killed, we should never have attacked a civilian target (a place where people worked) with 500 pounds of dynamite; it was wacko crazy. […] The connection between Militancy and Feminism for me was girl resistance and DIY gun empowerment. In other words, guerrilla irreverence for patriarchal institutions and power. All rights reserved. The user may download, preserve and print this material only for private, research or nonprofit educational purposes. The user may not alter, transform, or build upon this material. The Rachel Carson Center’s Environment & Society Portal makes archival materials openly accessible for purposes of research and education. Views expressed in these materials do not necessarily reflect the views or positions of the Rachel Carson Center or its partners. Bari, Judi. Revolutionary Ecology: Biocentrism & Deep Ecology. Melville: Trees Foundation, 1998. Foreman, Dave. Ecodefence: A Field Guide to Monkeywrenching. Tucson: A Ned Ludd Book, 1987. Lee, Martha. 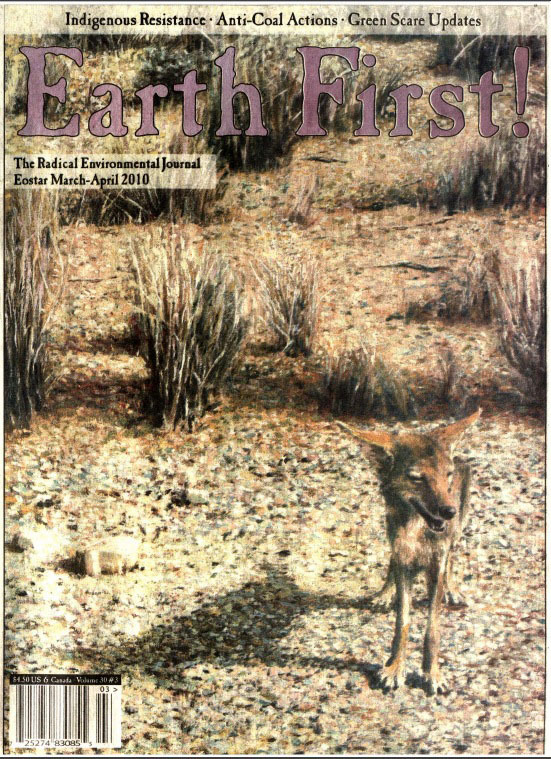 Earth First! : Environmental Apocalypse. Syracuse: Syracuse University Press, 1995. Merchant, Carolyn. Radical Ecology: The Search for a Livable World. London: Routledge, 1992. Mies, Maria, and Vandana Shiva. Ecofeminism. London: Zed Books, 1993. Taylor, Bron. “The Tributaries of Radical Environmentalism.” Journal for the Study of Radicalism 2, no. 1 (2008): 27-61.